Bill was a 10-month-old Golden Retriever and Lab mix Jo and Peter Forman found starving and filthy, foraging in a trash can in August 1988. For ten years Bill was a part of the Forman’s family. 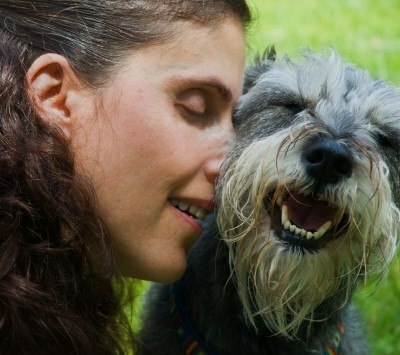 He brought laughter, joy and the kind of wonderful companionship that only a dog can provide. 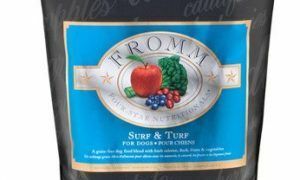 When Bill lost his battle to cancer in 1998, the Forman’s resolved to honor his memory by working to save other dogs like Bill who deserve a second chance at life. It was shortly after that the Bill Foundation was born. Bill Foundation is a Los Angeles based 501c3 non-profit Animal Rescue that rescues as many dogs as possible to alleviate the suffering of those abandoned in shelters or on the street. 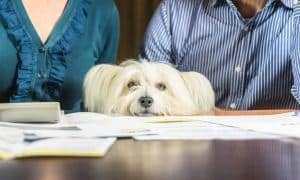 The Dogington Post first heard of Bill Foundation with the touching story of Tessa, a dog that the rescue saved from euthanasia at a local shelter. Tessa was blind and unable to stand or walk. With compassion, persistence and medical treatment Tessa quickly improved and touched the hearts of everyone who saw her! Tessa was cared for until the perfect forever home was found and now lives with a loving family. 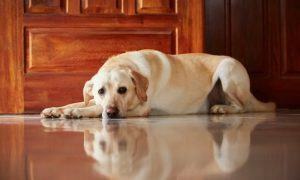 Bill Foundation is dedicated to saving dogs, like Tessa, from dire situations and giving them a second chance at life. “It’s so funny how something as simple as a puppy can make even the hardest, toughened soldier melt upon a few kisses to the face.” Puppy Rescue Mission is dedicated to helping military men and women bring their battle buddies home. Puppy Rescue Mission is a 501©(3) non-profit organization dedicated to rescuing dogs (and cats!) from war zones for military men and women who deserve to have their furry friends brought back from war. Noah’s Arks Rescue is a 501(c)(3) not for profit organization that supplies emergency medical, surgical and rehabilitation to abused animals. This rescue is all about giving an abused animal a second chance at life and giving them an opportunity to experience true love. They take animals that have been tortured, abused and neglected and supply the emergency medical care that is required to get them well. They provide rehab, physically and mentally, to prepare these dogs for their new home and new life. Noah’s Arks Rescue’s wish and lifelong hope is that society becomes educated in the ethical treatment of all animals and to stop the senseless killing of animals that have been tortured and abused. It is their mission to bring awareness to all the abused animals in this country that are being euthanized instead of being helped. Just take a look at Noah’s Arks website to see the pages and pages of abused and neglected dogs they’ve rehabilitated and found loving homes for and you’ll see why Noah’s Arks has one of our nominations for Favorite Dog Rescue. I don’t think this contest is counting votes accurately. I agree, because I’ve heard people that support Puppy Rescue Mission tried to vote and the numbers never changed. At one time I noticed that Puppy Rescue Mission passed Bill Foundation. Well lo and behold, within less than an hour after I looked at the votes, Bill Foundation’s votes doubled. So something very strange is going on here. There have been rumblings of the contest being fixed. There was absolutely something odd with the way votes were calculated. Many of us who support the Puppy Rescue Mission voted on a regular basis never to see the total change. At one point PRM was ahead of the Bill Foundation and that same day they jumped ahead by over 1000 votes and since then it seemed votes never were added regularly or accurately. While each time I tried to vote I received the “You’re In” message the total never increased. This is very disappointing and I strongly request this be looked into. I know the totals between these organizations should be a lot closer. Although all 3 of these awesome rescue organizations deserve MAJOR shout outs and accolades, I can’t say enough positive comments about the BF team and their dedication to dogs FIRST and to going the distance for their rescues and adopters. Annie, Ja-Shin and the entire BF team work 24/7 with compassion, enthusiasm and always a can-do attitude. Every BF rescue has won the doggy lottery!!!!!!!!! puppy rescue mission through and through. they get the poor pups and dogs across the border saving them from the most barbaric acts of cruelty. 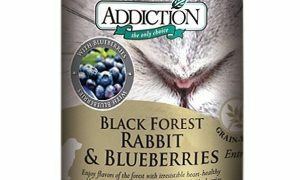 they in a way provide life to those animals as well as the long lost and battered troops. they provide them with a new life line and I am sure that getting the lovely bundles of joy across the nations is much more tedious and a task which requires greater formalities and economical help. I voted for Puppy Rescue Mission. It is a two for one, rescuing dogs and giving back to the servicemen and women that keep us save. I voted for Puppy Rescue Mission. It a win win helping dogs which I truly love and helping our service men and women, who give of themselves to protect us. All three sound like winners to me. Thank you all for doing what you are doing, I can’t help but to believe God blesses those who bless these critters! I was going to vote for the Bill Foundation and would still like to but you can only vote once. So I decided to read through all of them. Since the government passed a law that animals severing with the troops will not be classified as equipment and will not be left behind, so that should not be a problem anymore. So I scrolled down and I was really glad I did. I found Noah’s Ark read about them and checked out their web site. Found they really do a wonderful work, so worth while. As hard as this is to decide I choose Noah’s Ark. Saving animals that someone has abused is such a worth while cause please consider this organization. I would like to vote for all three, but I am most familiar with the Bill Foundation (and Hope for Paws). From now on, I will follow the Puppy Rescue Mission and Noah’s Ark on Facebook, and though I have very little money to give in support, I give my moral support to all four of these organizations and to the wonderful work they do for our fellow creatures. I agree Peggy. 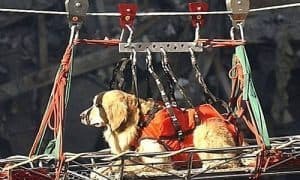 I follow Bill Foundation and am always touched by the dedication and selflessness shown in their rescue work, especially the kindness and patience as shown by Eldad! Too bad all 3 can’t win something! I agree with Peggy and Bev. Eldad is amazing! I have been following the work of Bill Foundation and Hope for Paws (Eldad Hager and Annie Hart). Their dedication to helping the animals who are most in need is absolutely extraordinary! They all need all they can get to help their animals. However, the Bill Foundation has my vote! Noah’s Ark may be in 3rd, but they’re first in my book. Small, but mighty in the work they do. Bill Foundation has my vote from now until the end of time. Saving Bethany forever is in my heart. Of course I have to vote for Puppy Rescue, they helped my Soldier son bring a beautiful puppy Chloe. She would have never survived if he left her. I think with everything he went through he would have left part of him with her! Now she has the best life with her fur brother and sisters! I vote for Puppy Rescue Mission. anyone else having problems loading this article? i am unable to vote for favorite rescue…. i have reloaded, refreshed, closed, retried over and over!!! this has been going on for days. I loved reading all of the stories, but I voted for Puppy Rescue Mission because the love between these dogs and these people made life POSSIBLE for one, and so much better for the other. People clear across the globe work together to get them to the USA and the pictures after they get here speak volumes. I wish you would split the money between these three organizations based on % of votes. All three are deserving of award for the wonderful work they do. How do you choose between these wonderful organizations. I contribute $$$ weekly to Puppy Rescue Mission. I had to go with Bill’s Foundation and that was not an easy choice. I have 4 rescue dogs – 2 GSDs, 1 Husky/Lab and 1 Lab/Husky. They are my angels and they love their life. Thank God for all 3 of these wonderful groups that they care enough to give animals a chance for a real life. God Bless all of them…and keep up the good work. How does one select from such wonderful compassionate rescue groups? Each deserves an award! And there are so many others – Justice Rescue in Philadelphia (tough biker-type dudes with the softest hearts and the toughness to go into dangerous situations), Gentle Barn, Chance and Rescue Group, Hope for Paws, Fix Long Beach, as well as local shelters/rescue groups. I’m from CT but follow these groups – now I have found 2 more to follow – Puppy Rescue Mission and Noah’s Ark! Wish I were a millionaire – I know where I’d donate my money! Thanks to all these rescue missions for what you do! Voted for Puppy Rescue Mission. Animal rescues in Afghanistan are almost non existent, due to the culture’s disregard of animals. 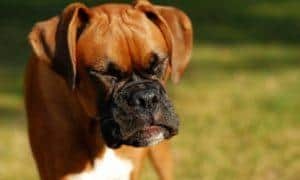 Dogs are especially abused with ears and tails cut off all the time and forced into dog fighting. The abuse of the animals is horrific. These animals don’t have a voice. Yet, they willingly follow our soldiers into battlefield and warn them of immediate danger and help soldiers decompress after being in battle. When the dogs are shipped to the soldier’s home, they help out with the soldier’s PTSD. The money really needs to go to Puppy Rescue Mission. 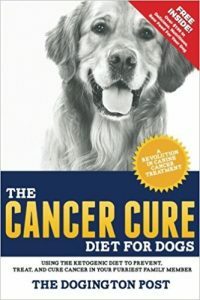 Just voted for Annie’s Bill Foundation … a rescue that does an excellent job of telling the story of what it is really like to be on the front lines of helping abandon dogs who desperately need an opportunity to become healthy, happy members of a family. Annie and her village are experts at making this happen. 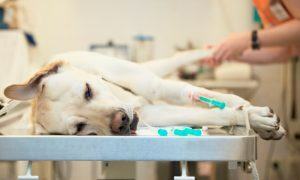 The more support we give them the more lives saved … one dog at a time. Puppy Rescue Mission a way to say thank you to our military. The sacrifice so much for us to be free. Vote for PRM! Help our young boys and girls bring home their battles buddies who if left there will meet certain death. The Bill Foundation is Amazing! I voted for the Bill Foundation! Love the rescues of Annie Hart and the collaboration with Eldad Hagar from Hope For Paws. God bless them for all the lives they have saved. The Bill Foundation. They are amazing! All three are worthy. I wish all three could win. I wish ALL animal rescue charities could win. 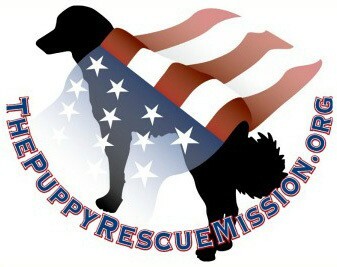 Voted for Puppy Rescue Mission, to support our troops as well as help bring their battle buddies home. Vote for the Puppy Rescue Mission. You not only vote for a wonderful organization that saves dogs born in a hostile environment but you also get to help our military who sacrifice so much for us. The military men and woman are far from home in a very horrible place. These animals help them get through the horrors they see and live every day. So help a wonderful rescue and say thanks to our soldiers vote for PRM (Puppy Rescue Mission) they also save kitties too! Voted for Puppy Rescue Mission. The men and women serving in war zones are giving their lives for our safety. 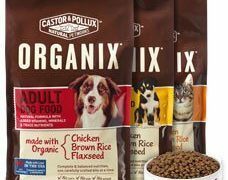 These precious dogs and cats are their “link” to a normal life. They give so much to caring for these animals who live in a part of the world where they have NO value. Thanking the soldiers for their service is what we “do” to show our respect and gratitude…giving so that these furry soldiers can come home as well is what makes God smile. We are all God’s creatures…some of us just don’t have fur. Each one of these organizations are so deserving. Since I am a Veteran, The Puppy Rescue Mission has a special place in my heart. May the good Lord bless the PRM and all those that are entered in this contest. Tried to vote twice. It won’t go through. I vote for the Bill Foundation. They are networking with other rescue groups and do a wonderful job of getting the vet care these fur-babies need. i will never forget the rescue of fiona so i voted for BILL FOUNDATION. Do I have to log in with Facebook to cast my vote???? Hi Robyn, you can use your facebook or your email address. We don’t collect or keep that information, it’s because the system will only allow you to vote once and that’s how it keeps track. Thanks! I tried to vote with me email address, but it then wants all my Facebook information and contacts. No thank you. If I were to vote it would be Noah’s Ark for the medical care they provide. . Bill Foundation already gets a tremendous amount of publicity through Hope for Paws. I have been following this group for a long time. even though i volunteer in my home town in south florida, i feel that this group is soo amazing and caring. I cant say enough about them i just hope they win. I also want to say that every rescue group out there are winner because it take a very special group of people to do what they do. God bless them all. I hate to single out any one rescue but out of the 3, I voted for Bill Foundation. If I could have voted for all 3, I would have. If I could vote for ALL, in and throughout these great states, I would. Voted for Puppy Rescue Mission. What a great way to say thank you to those who serve and help them bring their beloved battle buddies home! These animals are so great for morale and give our troops in Afghanistan and other war zones a sense of normalcy and unconditional love when they need it most. No one left behind! I couldn’t agree with you more, Linda. It’s the least we can do for our troops! Bill Foundation for all the wonderful rescue work they do! All the Rescues deserve to win, but I voted for Noah’s Ark Rescue, because they save the dogs that have been discarded like garbage! These dogs deserve the chance to know the love and comfort that every dog should have. Let’s help turn the lives of these abused and neglected dogs around. Please vote for Noah’s Ark Rescue. Voted for Puppy Rescue Mission. Supporting this organization is helping our US Soldiers bring their battle buddies home. Can’t think of anything better than supporting the men and women who fight for our freedom. 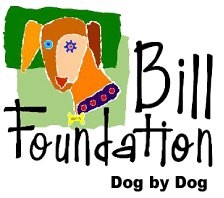 Love and donate to the Bill Foundation because of all they do for the senior dogs. Really heartbreaking videos that they turn into happy dogs for adoption. And we get updated on our favorites like Cute Luke!